German experimenter Hans-Joachim Roedelius dug deep into his archives to release some rarities just last month, and now he's looking to the past once again. On April 2, the kosmiche forbearer will reissue Selbstportrait Vol. III: Reise durch Arcadien on vinyl via Bureau B. The album originally came out in 1980, and was created between 1973 and 1978. It was reportedly recorded using modest recording gear, and like his other Selbstportrait releases, its imperfect sound quality reflects its spontaneous genesis. 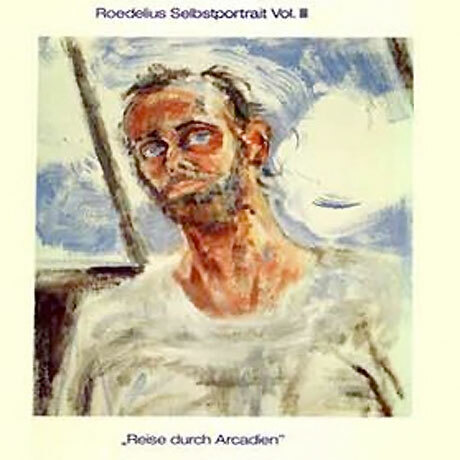 In a statement about the reissue, German experimental composer Asmus Tietchens wrote, "Almost casually, Roedelius offers us as listeners direct access to his artistic riches. Neither seeking to impose himself upon us, nor setting out to impress, he simply wishes to share with us something he could barely put into words. Utterly detached from time, stylistically unique, these tracks could easily be contemporary creations... Music was born in Roedelius, it flowed out of him in real time, unfiltered, and was caught on tape by the assiduous recording device." As far as we can tell, this vinyl reissue doesn't come with any bonus content. See the original tracklist below.